I have been fortunate enough to make a vibrant career out of my lifelong love of reading and passion for literature. I am a scholar of Caribbean literature and cultural studies. I earned my PhD in English Literature from University of Maryland – College Park in 2011. After living in the United States for more than 12 years, for academic study and later for a number of professional opportunities including Assistant Professor of English at Trinity Washington University in Washington, DC, I made a decision to return to the Caribbean in search of work and life that more closely aligned with my intellectual and personal interests. I was certain at the time that the result would simply be one academic book project and a bit of community work. I was wrong in the best possible ways. In 2014, I founded Create Caribbean Research Institute, the first digital humanities or digital scholarship academic center in the English-speaking Caribbean. The Research Institute supports students and scholars to use digital technologies for research, teaching and learning in areas of Caribbean development, especially its culture, history and heritage. The emphasis at the Institute is on identifying and successfully completing projects that apply technological innovation toward social and economic development. Create Caribbean’s initial partnership with Dominica State College presented a range of opportunities for collaboration and professional development that would enhance and expand the institute, DSC and higher education in Dominica. 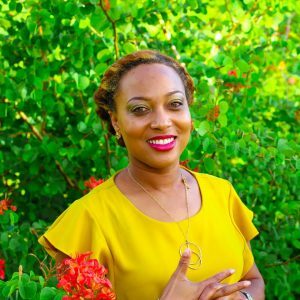 As the Director of Create Caribbean, I am the curator of a number of public digital research projects focused on preserving Caribbean heritage and culture. I’ve just begun a new professional experience with The University of the West Indies, as Programme Officer of the Open Campus, Antigua & Barbuda where I now live. This position will provide me with immense opportunity to help build Caribbean Studies and Caribbean intellectual production within the Caribbean region. I’m looking forward to aligning the work of Create Caribbean, as a regional nonprofit committed to academic research and intellectual inquiry, will align with the work I do in this new role. I’m now completing my book manuscript entitled West Indian Readers: A Social History, a historical exploration of reading culture in the Caribbean. This website is a space to share updates and insights on my various projects and on the topics and issues that matter to people of the Caribbean and the African Diaspora.